This image shows an Aulopora coral growing across the surface of a Protoleptostrophia perplana brachiopod. 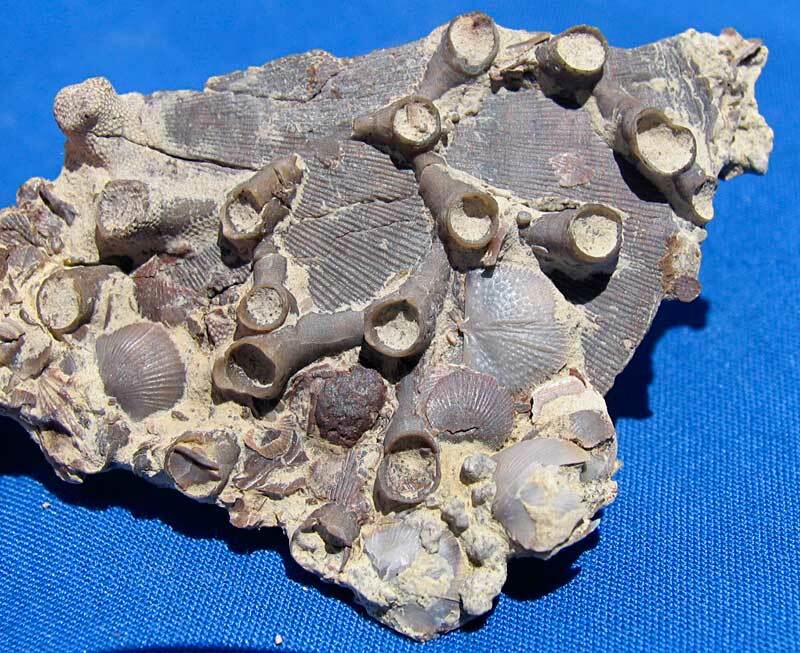 It is surrounding quite a few Devonochonetes brachiopods. 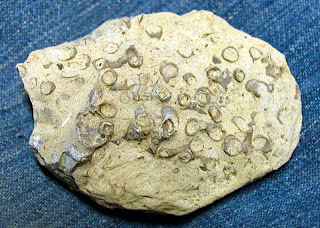 The plate was found in the Silver Creek Member of the North Vernon Limestone. Specimens found in Clark County, Indiana. Fossil creatures shown existed in the Middle Devonian Period (Eifelian). Need to figure out a way to clean the matrix out of the little horn shapes. Next picture shows the plate before it was sandblasted. 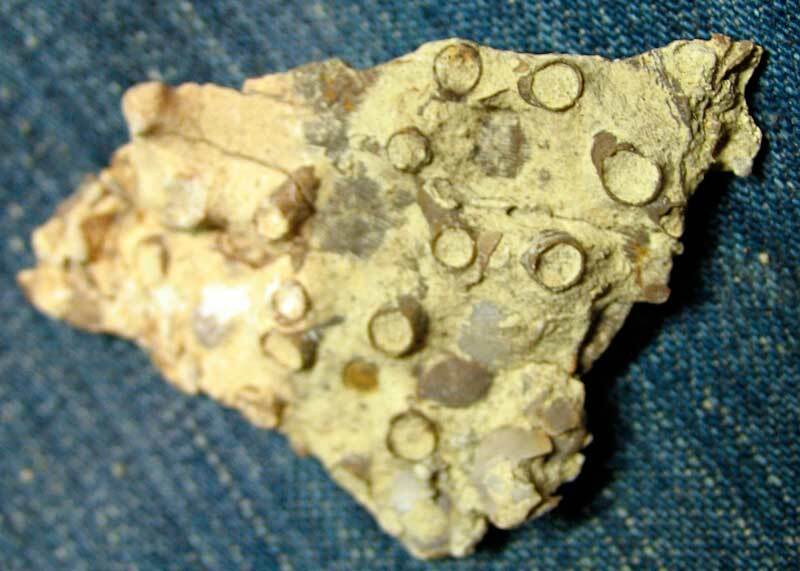 You can see quite a few Aulopora corals and some of the brachiopod surface. Here is another piece of Aulopora my cousin will be sandblasting in the near future. The Silver Creek matrix is some of the best to abrasively clean. I believe this layer is the one used to create cement with.